Advancements in science and technology has tremendously impacted medical science. Today, there is cure available for several diseases for which one could not have imagined treatment a decade ago. One such discovery is recombinant vaccines. With growing thrust on medical research, the global recombinant vaccines market is expected to have immense potential in the coming years. 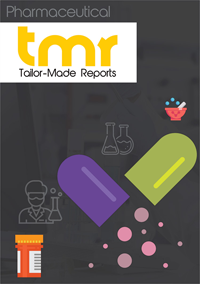 An upcoming Transparency Market Research report provides detailed analysis of the current and upcoming trends in the global recombinant vaccines market. Based on qualitative and quantitative studies, the report provides insights into the prevailing trends, challenges, geographical distribution, and competitive dynamics in the market. Recombinant vaccines are developed based on recombinant DNA technology. Here, an antigen is introduced into the body of humans to trigger immune response against a foreign organism. This is usually done using a virus with low virulence. An example today is the vaccine available for Hepatitis B. There are several advantages of recombinant vaccines. They can be easily produced, and can be inserted into multiple carriers. Further, there is enough scope for more genetic engineering. Also, they have less risks when compared to other forms of vaccines. Moreover, they can be easily produced at a large scale. These positive factors make them win over other types of vaccines, thus promoting growth in the global recombinant vaccines market. Since there is scope for further genetic engineering, scientists can develop different variants of the same vaccine to suit the requirement of different populations and different strains of the virus. With potential results from Hepatitis B vaccines, many pharmaceutical companies are investing in research to identify recombinant vaccines for several other diseases. This is a big positive for the global recombinant vaccines market. Further, the growing thrust from governments on improving healthcare status and the rising per capita income are some of the other growth factors in the global recombinant vaccines market. However, the market faces some challenges which pharmaceutical companies will have to overcome in the coming years. The cost of these vaccines is a big deterrent. Nonetheless, with rising awareness among people especially in developed nations, the market will grow in the future. This could reduce effects of most hindrances faced by the global recombinant vaccines market. Geographically, North America holds the highest share of the global recombinant vaccines market. The developed scientific infrastructure along with the high awareness levels among people foster growth in this region. Moreover, a large number of pharmaceutical companies are present in this region, thus aiding growth in the global recombinant vaccines market. Europe will continue to remain significant, and Asia Pacific is expected to emerge in terms of growth in the coming years. Increased research to identify vaccines for new diseases is building competition among the major players in the global recombinant vaccines market. At the same time, pharmaceutical companies are also identifying new geographies with potential for recombinant vaccines. Some of the key players in the global recombinant vaccines market include Pfizer Inc., Sanofi S A, Novartis A G, Bharath Biotech, and Merck & Co. Inc.